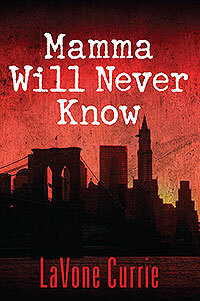 LaVone Currie’s “Mamma Will Never Know.” Tommy Greene has a bright future but it takes a tragic detour. Pressure is put on Tommy to become a juvenile drug-seller and he gets sucked into life as a dope addict learning about the hard realities of street life. This book is an eye-opening lesson to parents and teens alike about the drug subculture that preys on children.